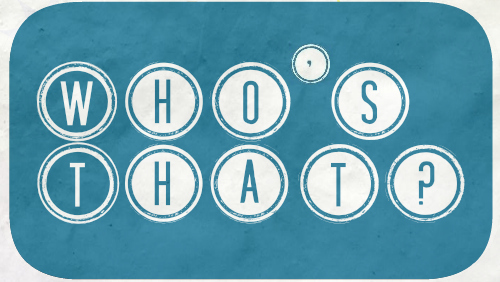 Welcome to the ‘Who’s That?’ quiz! With the start of December I figured it was time to start getting into the Christmas spirit and have had my header filled with festively themed silhouettes! Once you’ve studied the header above (I’ve also stuck the image below) head on over here to the ‘Who’s That?’ page and make your guess at who they all are. Of course you haven’t got to get all of them, just see how many you recognise. At the end of the month I’ll announce the answers, as well as listing and linking back to those of you who manage to guess correctly. Just a reminder; please don’t write your guesses in the comment section as it then spoils the fun for everybody! Thanks for playing, and have fun! Oh my! I’m drawing so many blanks! I’m only absolutely certain about 3 of these. Well it seems that everybody is struggling this month, judging by the guesses so far! Good to know I’m not alone. You really made it difficult this time! Yeah, and the third on the right is unfairly tough! I only know one on the right, I’m so terrible at this, ahah. Ah everyone is struggling this month Ruth!